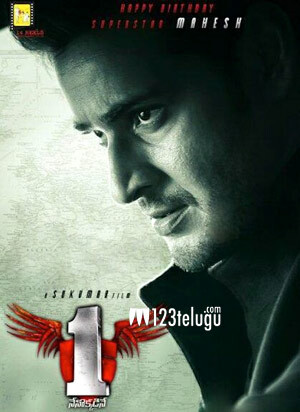 Super Star Mahesh Babu’s ‘1 – Nenokkadine’ now has an official release date. The movie will hit the screens on January 10th, 2014 and this information was conveyed by the producers of the movie. The second teaser of the film has been released on the occasion of Mahesh Babu’s birthday and it has been received very well. The production team says that the teaser garnered more than a million views within 3 days (including all youtube accounts). Sukumar is the director of this movie and Devi Sri Prasad is the music director. Kriti Sanon will be seen as the heroine in this movie. Ratnavelu is handling the cinematography and Peter Heins is the fight master. 14 Reels Entertainment banner is producing this big budget thriller.